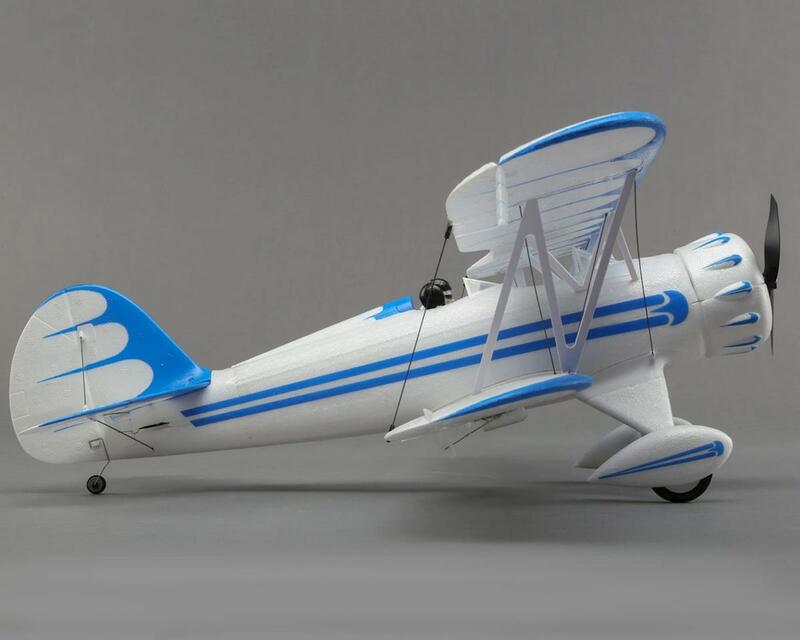 The E-flite Ultra-Micro UMX Waco Bind-N-Fly Basic Electric Airplane gives everyone a chance to own a piece of history and get a taste of what the early days of aviation were like. 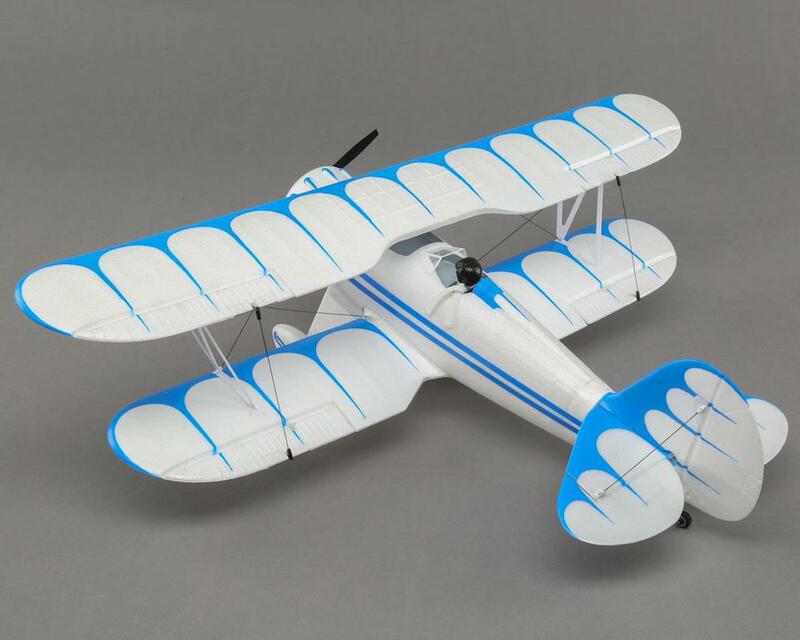 This scale reproduction of the classic Waco biplane blends classic style with state-of-the-art features to give you one of the most rewarding flying experiences at any size. 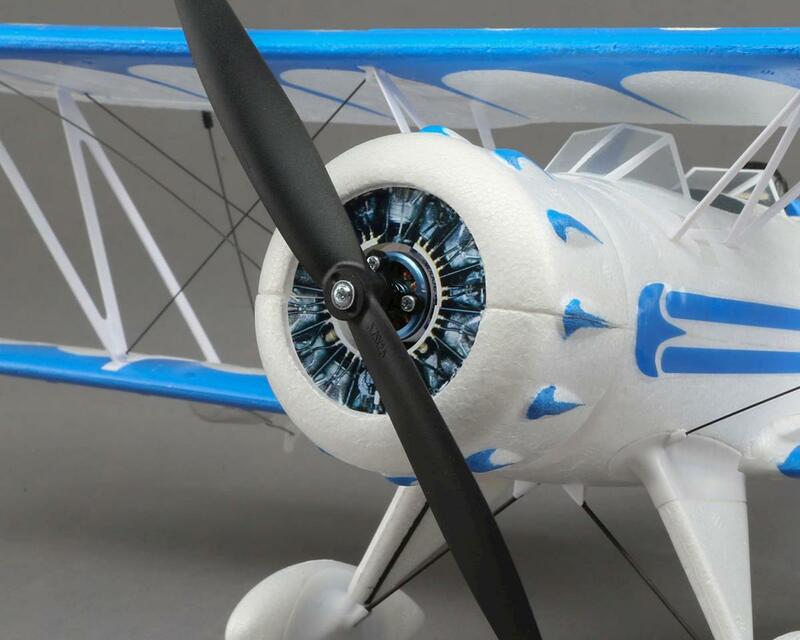 It comes out of the box with scale details that include molded surface details on the wing and fuselage, carbon-fiber flying wires, windscreens and more. You even get a pilot figure complete with a flying scarf! All this detail is brought to life by a 180-size brushless power system. This power system, along with the model’s light wing loading and AS3X technology, gives you a wide flight envelope to play with. Firewall it to fly aerobatics or throttle back and cruise – the UMX Waco BL will deliver smooth, stable response whatever you want to do. 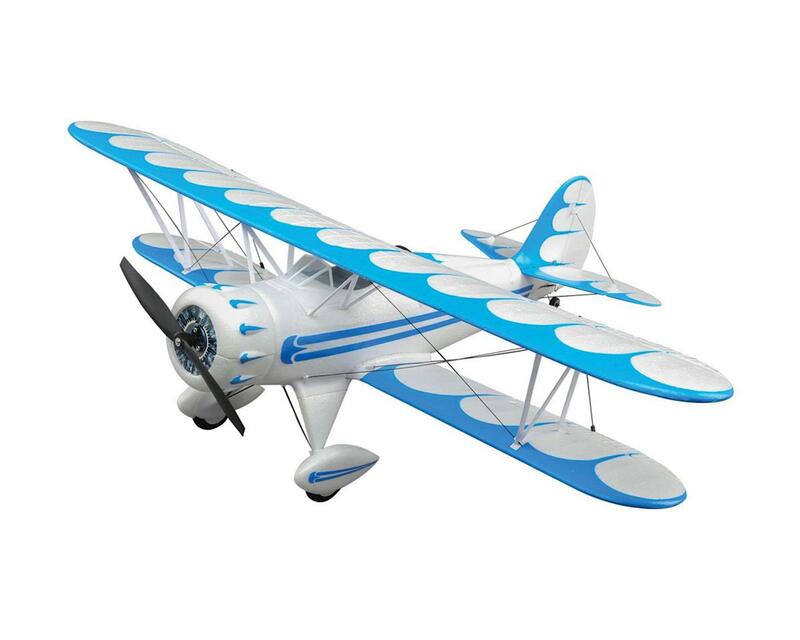 What a great plane,I am not a great pilot by any means but this plane is so easy to fly. 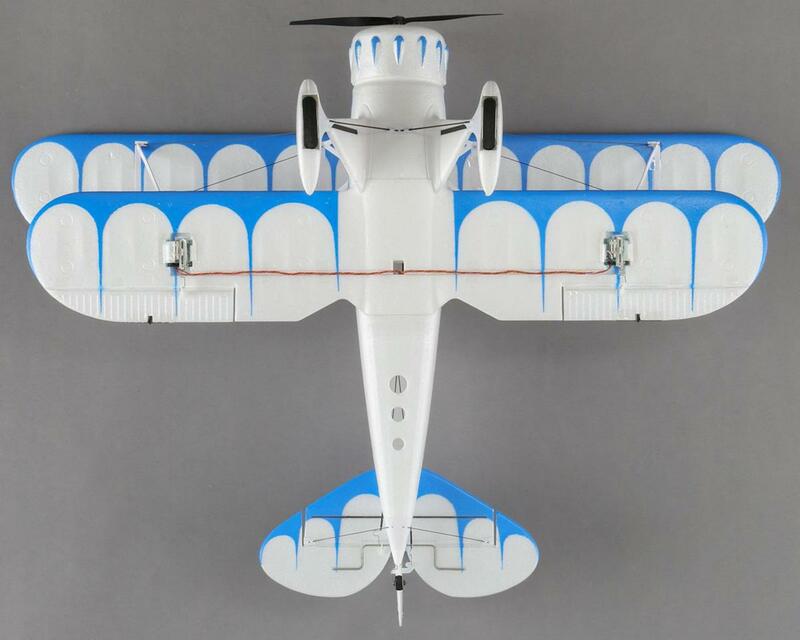 The plane looks great with its scale details and is capable of aerobatics and it just looks great flying around. However, although I think that it is the result of seeking lightness, because the color of the aircraft color is not the painting but the color of the ground of the foam material, the body of the fabric state is easily dented by just touching the nails etc. Handling is not done carefully, it seems to be full of scratches. Because it is made up of two carbon rods as a core, there is no suppleness. Since it is the place where the most load is applied in actual takeoff and landing, I am worried about whether it will be damaged when it is hard landing. The feeling that I felt "fun" the first time I finished skipping, changed my mind to "jealousy" instead of "thanking the E-flite engineer", and while writing it. There is no peculiarity, the maneuvering does not change from low speed to maximum speed. Normally, it is necessary to adjust the maneuver according to the speed range, but there is no need to change it at all. It reacts exactly by the amount of steering. Far away from the wing tip stall, it does not even stall in the first place. As long as we are raising the nose and do not apply a brake, we glide at a constant speed and keep coming down straight while maintaining the stable condition in all axes. This is the first time for a scale aircraft. If it is a profile aircraft, this kind of maneuvering sensation is standard but I feel even jealous of the engineers of E-flite who finish up to this point. Since I am a field other than a field engineer, I understand how difficult it is, so I will respect their attitude and obsession to reach this area. 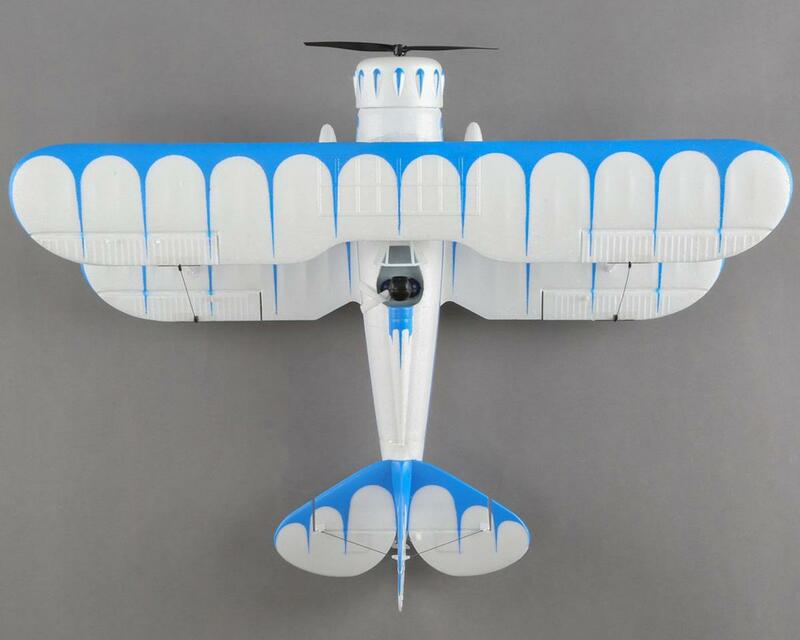 Although the talk went wrong, this peculiar airplane is a RC airplane which can be highly recommended to everyone from beginners to veterans! Really nice airplane, looks and flys great. Really enjoy these small 2s, brushless airplanes The guys I fly with will be getting their own soon. Awesome little plane! This is the first UMX plane I have had and it was a dream to fly. All I did was bind it to my DX9, set up the servo throws as recommended in the manual and it was off! Literally the easiest thing ever. It fly's so nice, slow or fast, acrobatic or not. And it looks so nice as it cruises by you. I get about 5-6 minutes per charge on the E-Flite 280mh batteries. It lands so docile, cut the power and it will float in. Highly recommended.